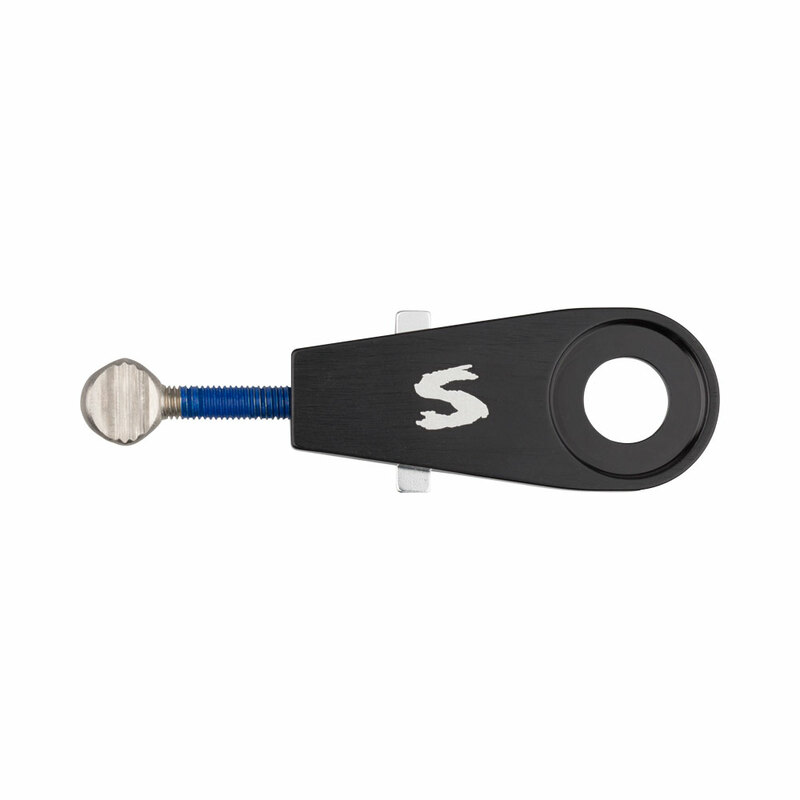 Like some of our other chain tensioning devices, Snuggnut keeps your rear wheel from slipping forward in the dropout under the pedal load from your powerful gams. It’s specifically designed for our bikes featuring 12mm horizontal, vertical-slotted dropouts, and is particularly suited for singlespeed application. Snuggnut is CNC-machined for durability and good looks, and shares many design features found on Tuggnut and Hurdy Gurdy.